After many surveys and recommendations, I've finally decided to opt for hearing aids from Nessa. 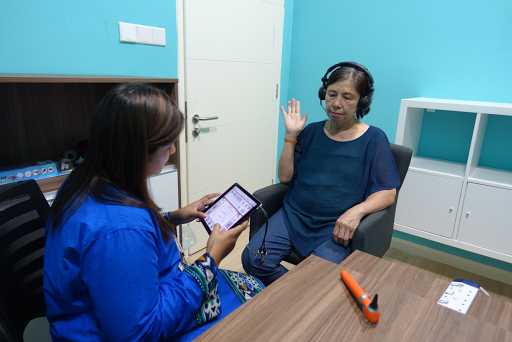 Last week, we dropped by Nessa headquarters, which is located in Sunway Nexis for a hearing test with Nessa's hearing professional. 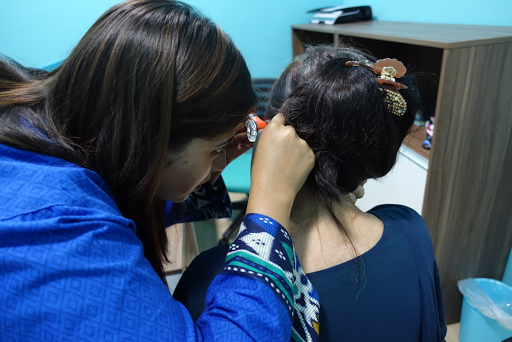 The hearing test session started with a visual examination of my mom's ear using an otoscope and some question on my mom's current condition. My mom was required to listen to the headphone which played sounds at different pitches and asked to raise her hand every time she hear a sound. This test is to measure how well she hears a variety of sounds, such as tones and speech. After the evaluation, my mom's results are shown on an audiogram. The audiogram is a visual representation of the softest sounds she could hear at different pitches. According to the audiologist, my mom has severe hearing loss and definitely in need of a hearing aid. Everybody’s hearing is different. 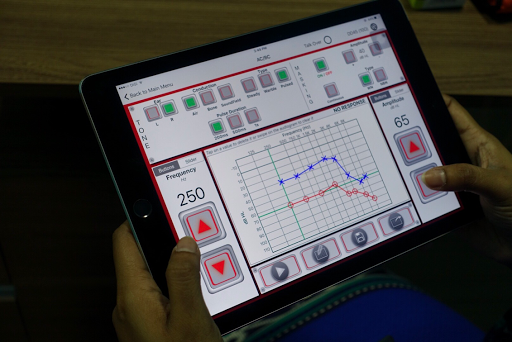 Thanks to the latest technology, our hearing care can be tailored to individual needs now. How's your hearing? Are you suffering from hearing loss? Did you know annual hearing test is important to combat hearing loss? Don't hesitate to contact Nessa for a FREE hearing test with a qualified hearing audiologist. Stay tuned for my next post as I will be sharing on my mom hearing aid fitting experience. Think i should go for hearing test too. Thr habit of using earphone miggt affect our hearing. I think i need this too, just to make sure I still have a clear hearing sense :) Loud music makes us deft.